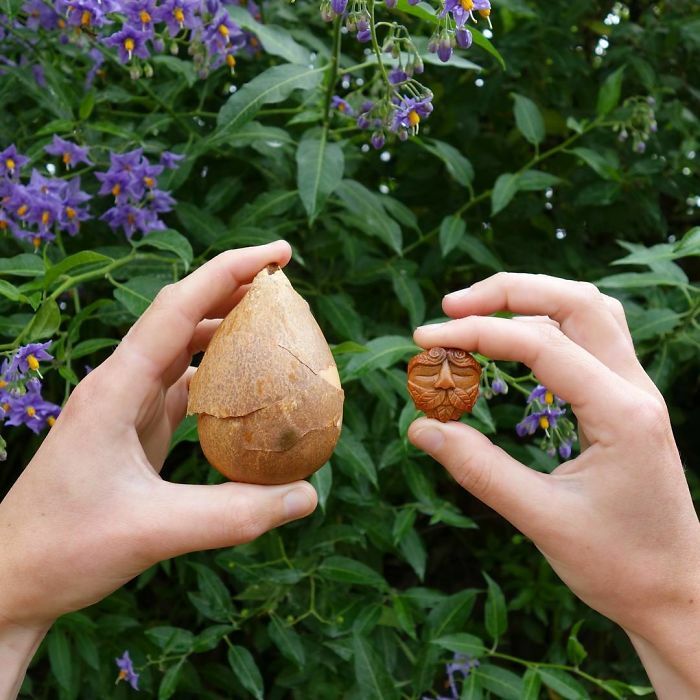 While most of us see the avocado pits as trash, Irish artist, Jan Campbell found a way to see the beauty of mother nature in it. After preparing an avocado sandwich for herself, back in 2014, she felt the urge to wonder; what else could be done with these strange but beautiful avocado pits? 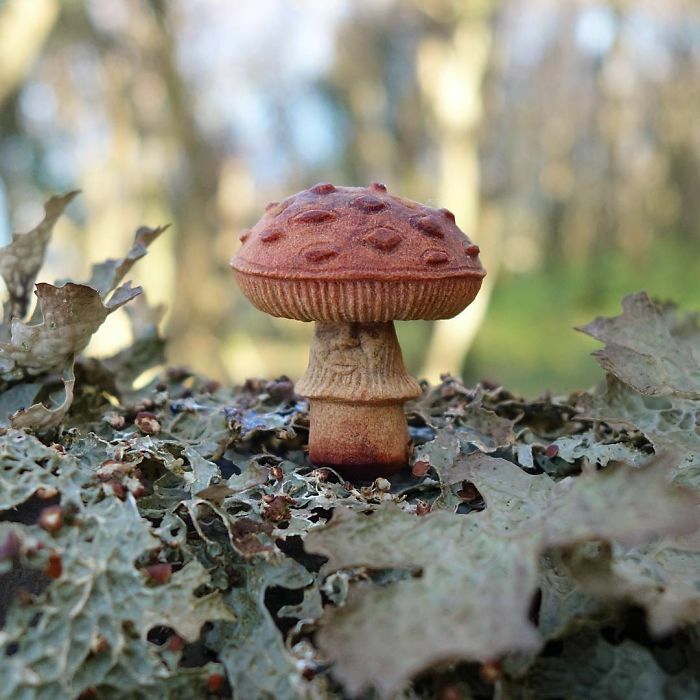 After weeks of carrying it around, she took it and scraped its outer layer, revealing a beautifully orange pigment underneath. 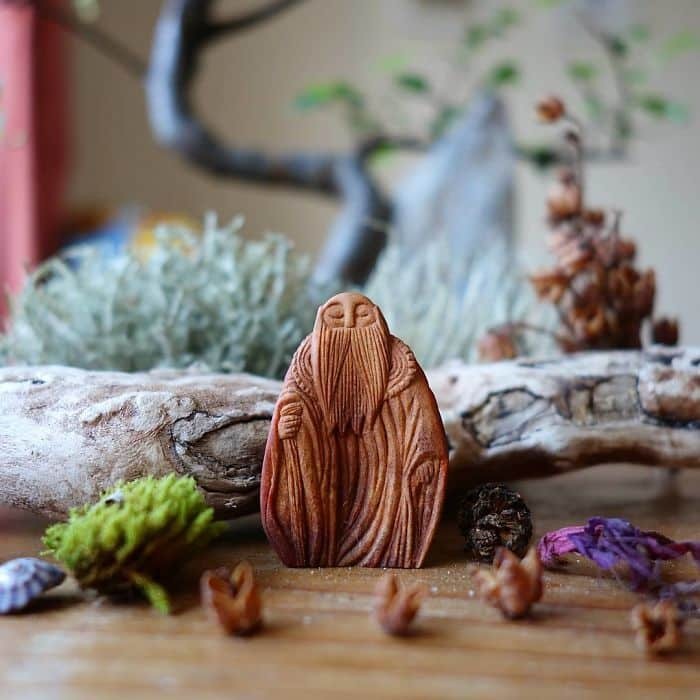 She was so struck by the beauty of it, that it inspired her to carve away its layers until crafting a beautiful piece of art, a strange little woodland creature, leaving it to dry for a week until it hardened. 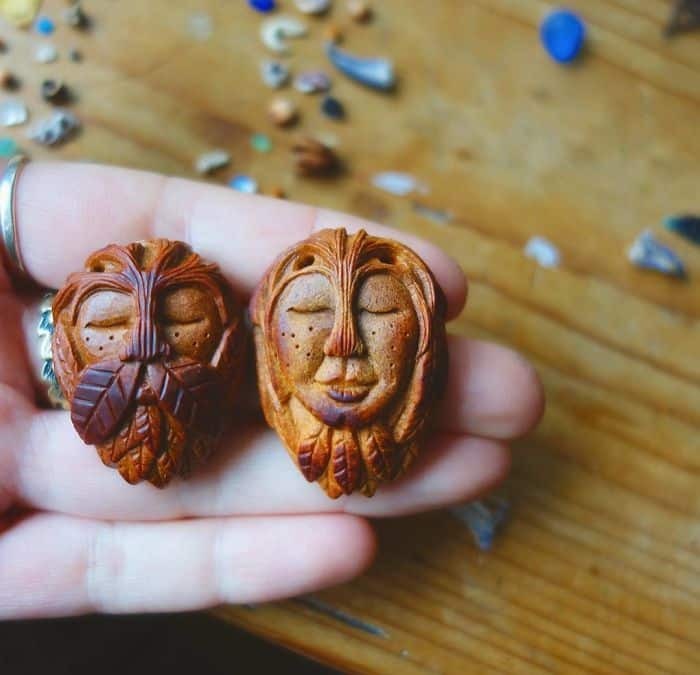 Ever since that day, the Irish artist has been using her incredible sculpting skill to turn avocado pits into these Celtic-Folklore inspired pieces of art. 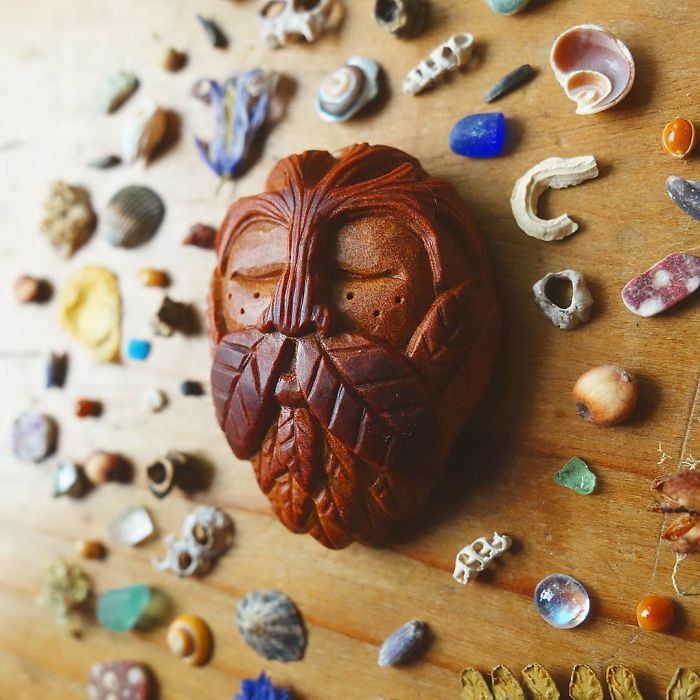 All her Celtic-Folklore pieces of art are unique, and quite detailed. 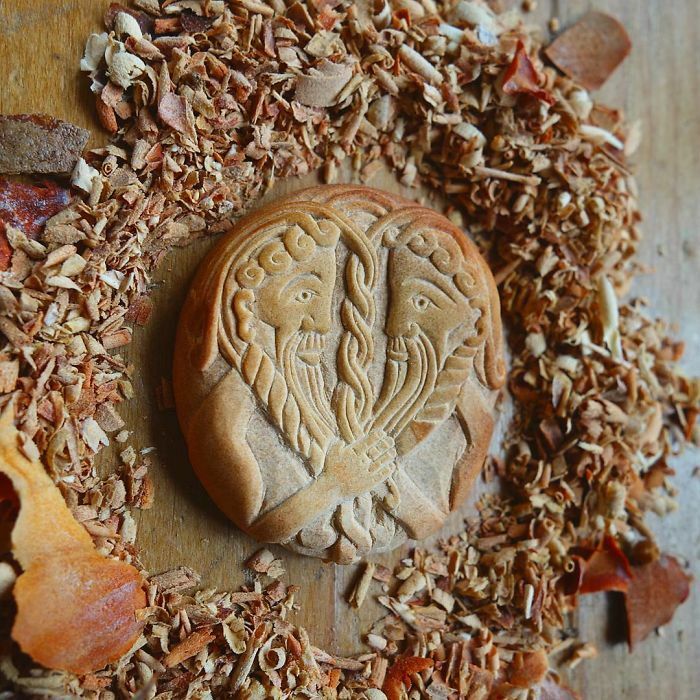 The main theme for her carving is Celtic-Folklore related. 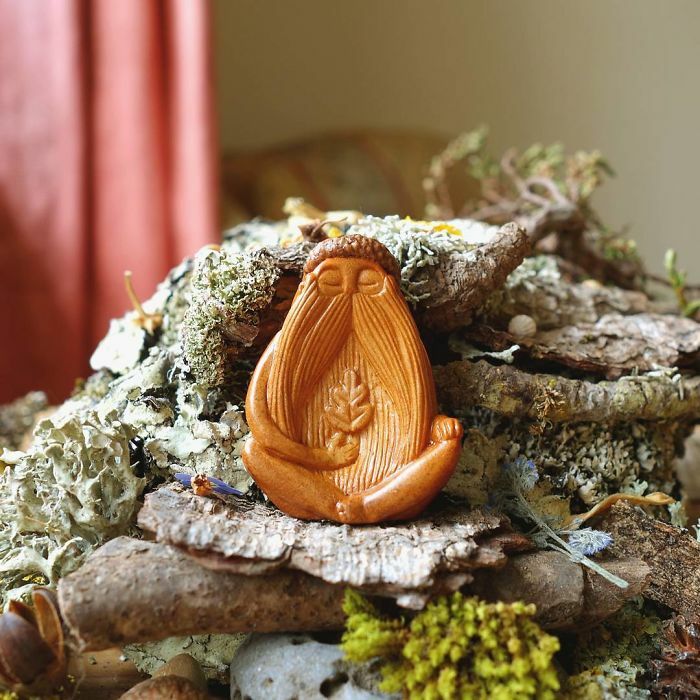 The faces of the forest spirits and the ancient Celtic gods are the focus of her artwork. 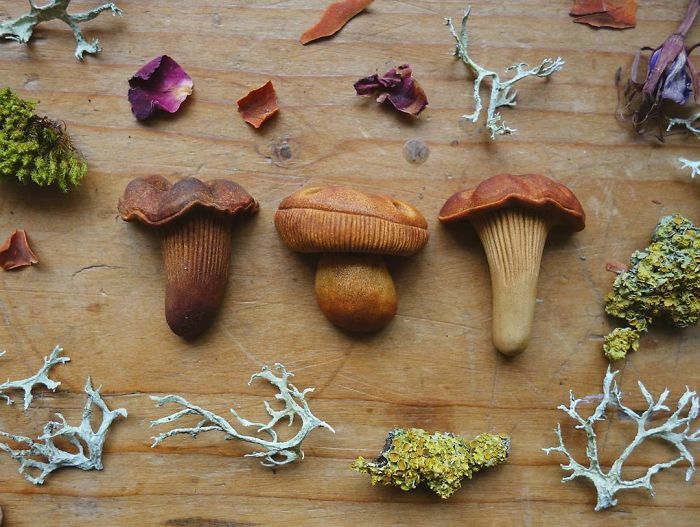 Also, she could sculpt some wild mushrooms, if you are into it. 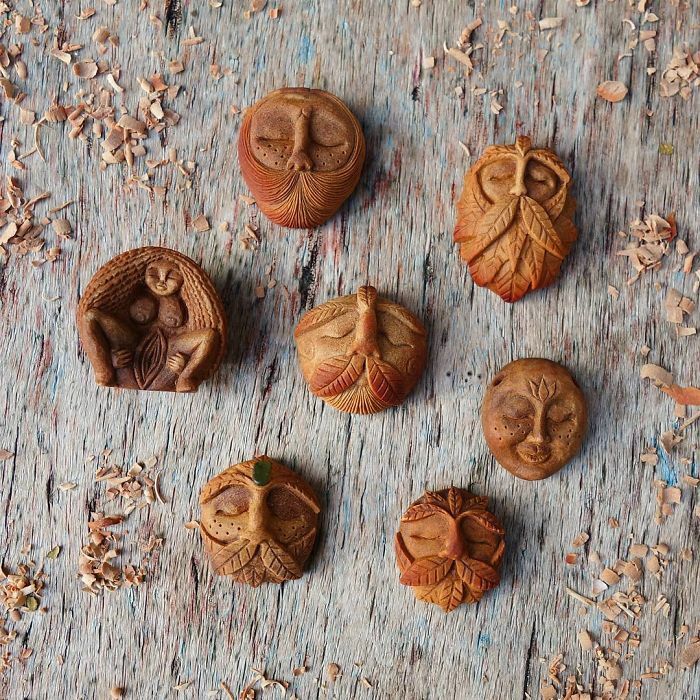 These tiny pieces of art can be simply displayed as statues, or worn as pendants. 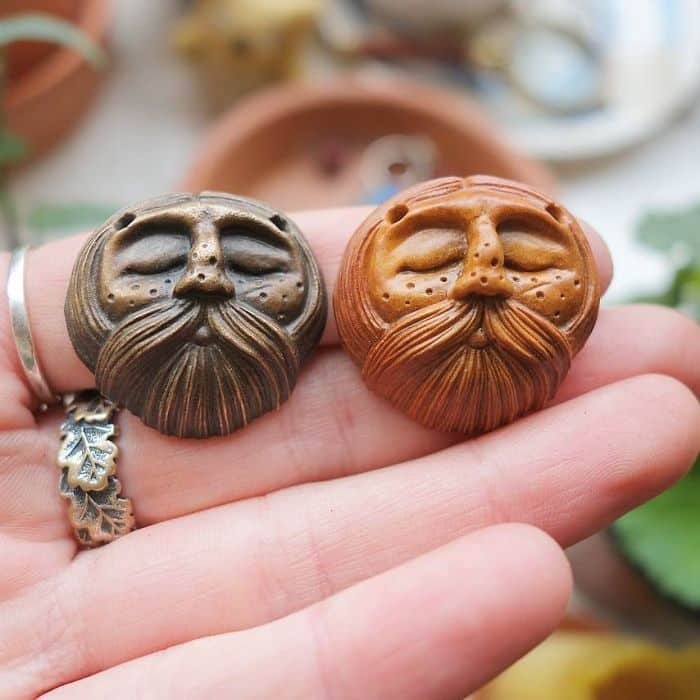 Some of them are featured as holder-necklace, providing a unique sense of comfort when it’s worn. 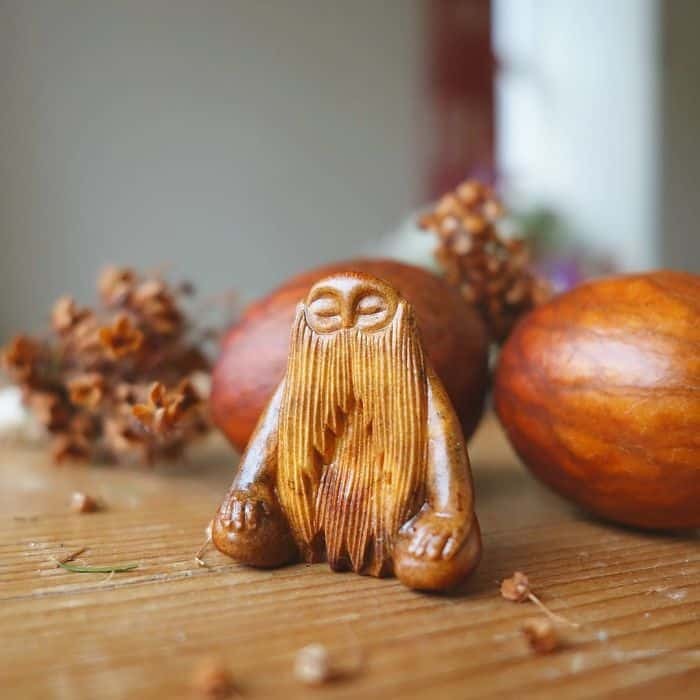 It has resulted in an extensive collection of woodland creatures crafted using avocado pits. Although, she is now starting to sculpt in bronze as well. 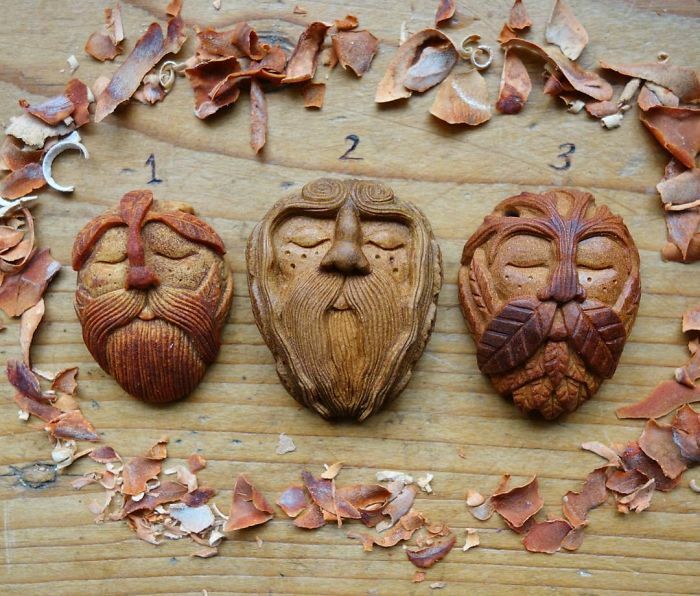 Jan Campbell has been practicing her whittling skills on pinewood since childhood. 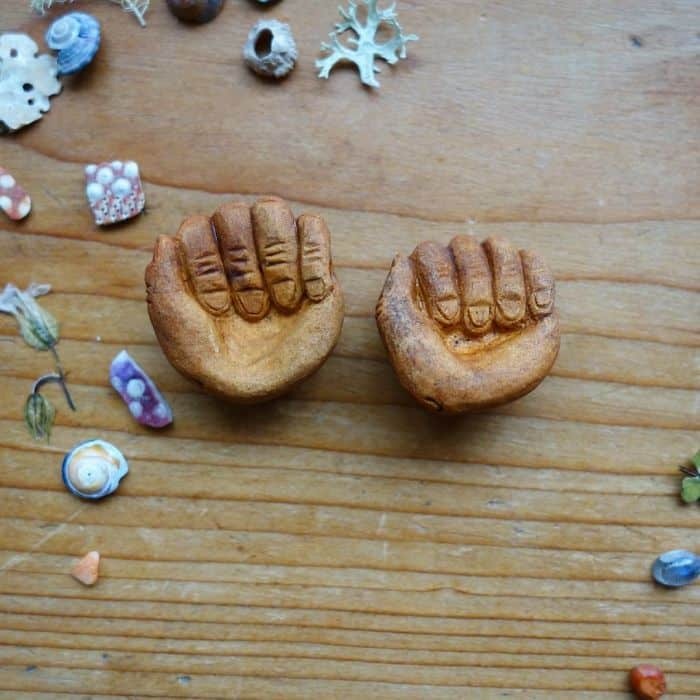 Now she treats avocado pits like precious marble to sculpt. 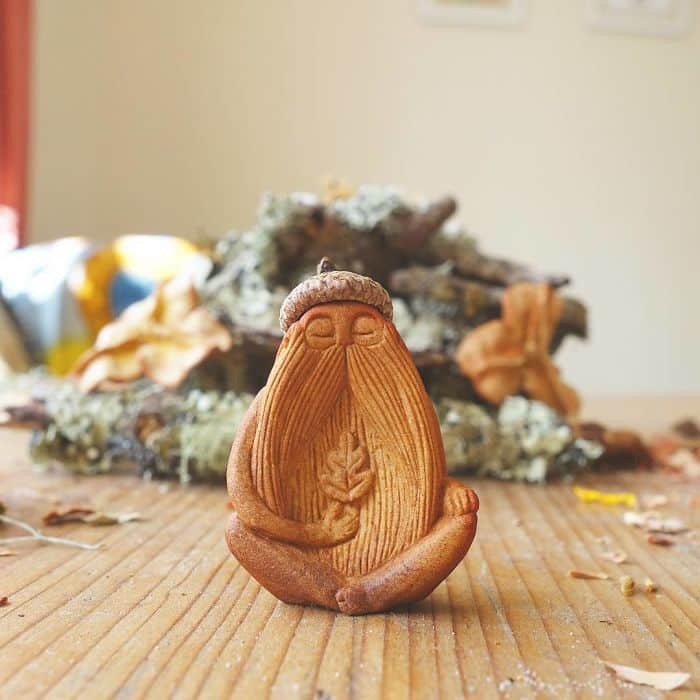 Jan Campbell is trying to connect people with mother nature through her work. 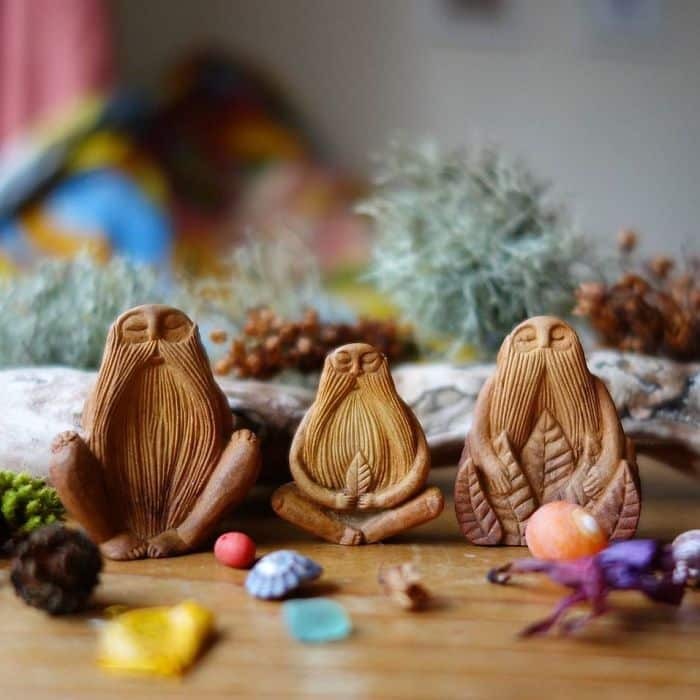 These miniature totems of the forest spirits provide an inexplicable calm vibe, that everyone is placed to receive. 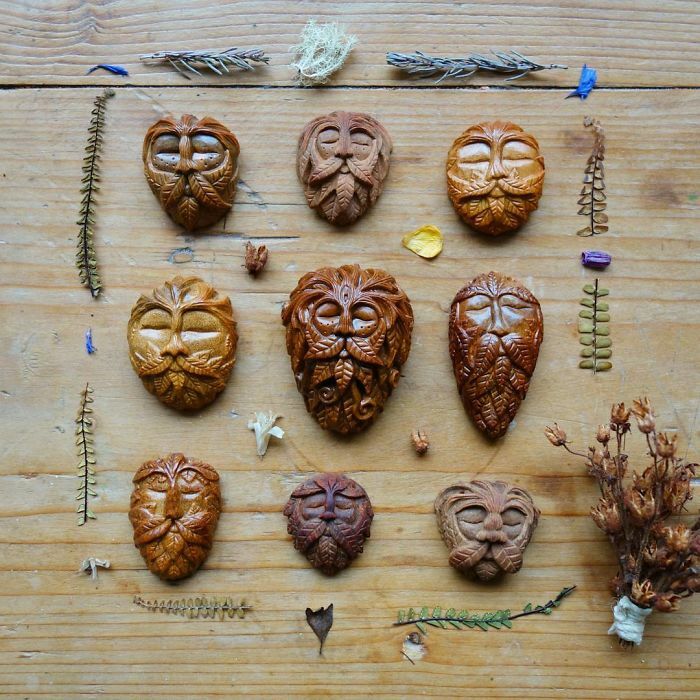 Although, Jan Campbell’s work looks like it could be carved out of wood. It’s all about avocado pits. 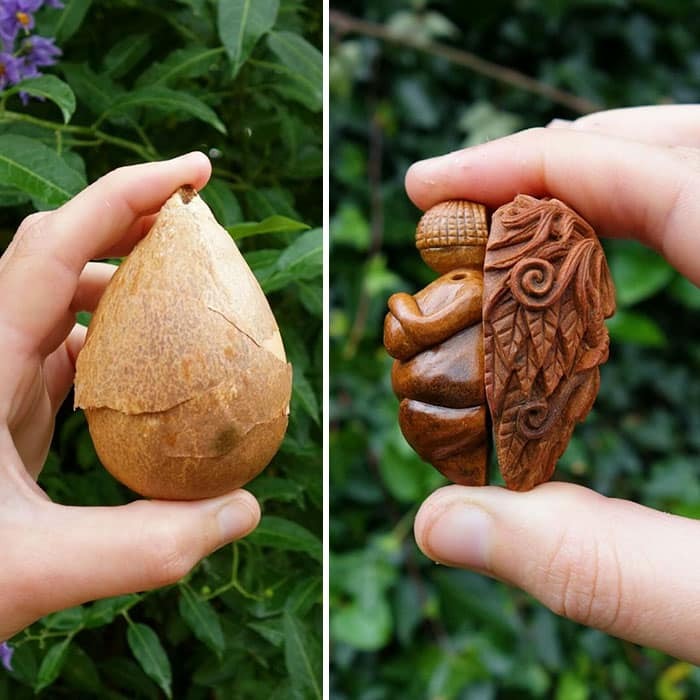 While most of us see the avocado pits as trash, Irish artist, Jan Campbell found a way to see the beauty of mother nature on it. After preparing an avocado sandwich to herself, back in 2014, she felt the urge to wonder; what else could be done with these strange but beautiful avocado pits? After weeks of carrying it around, she took it and scraped its outer layer, revealing a beautifully orange pigment underneath. 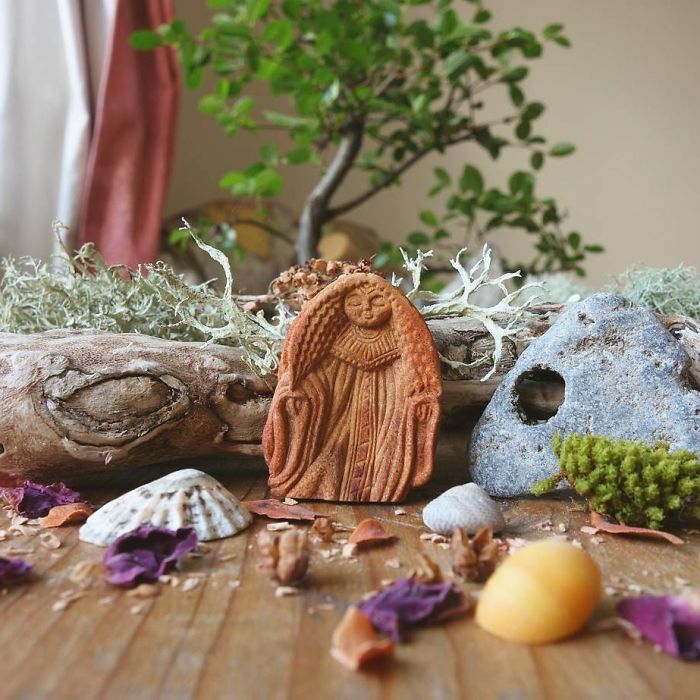 She was so struck by the beauty of it, that it inspired her to carve away its layers until crafting a beautiful piece of art, a strange little woodland creature, leaving it to dry for a week until it hardened. 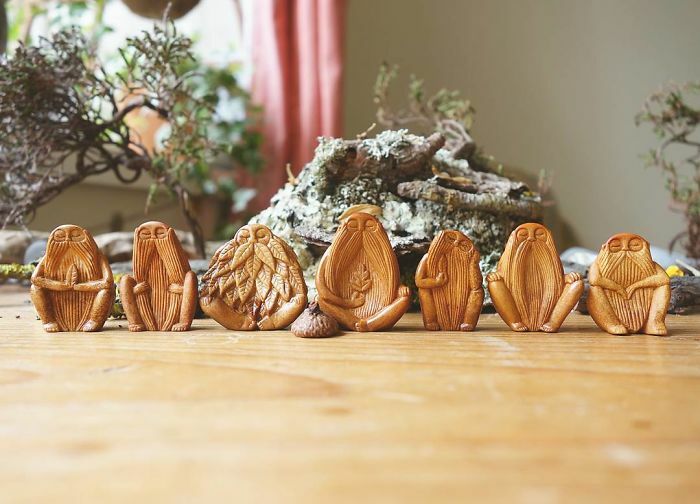 Ever since that day, the Irish artisan has been using her incredible sculpting skill to turn avocado pits into these Celtic-Folklore inspired pieces of art. 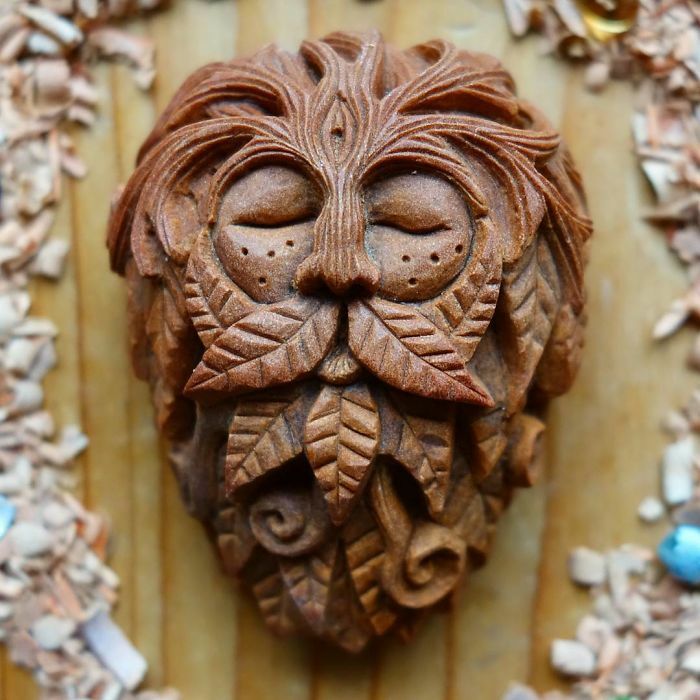 These fantastical guardians of the forest are, certainly created with an impressive attention to intricate detail. The final result of these avocado pit totem are as hard as wood. 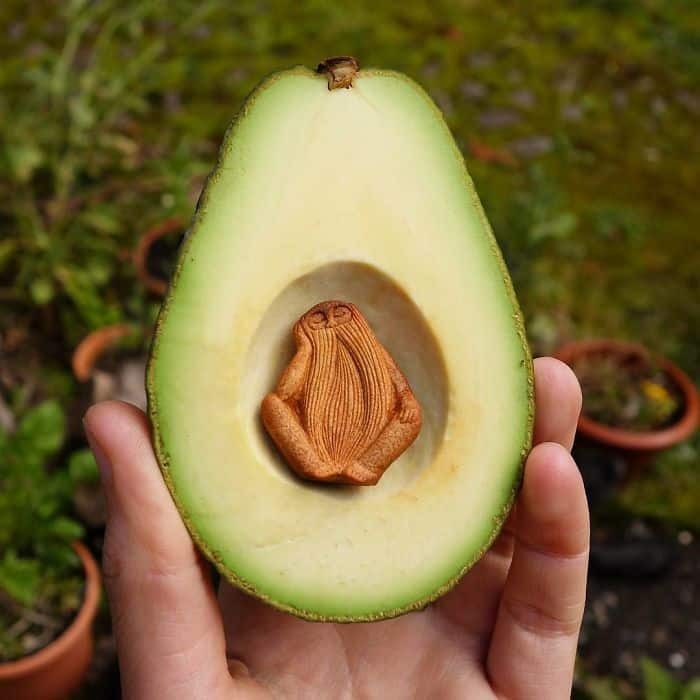 The surface of the avocado pit has a brilliant orange hue and is soft enough to carve. Where all the magic began. 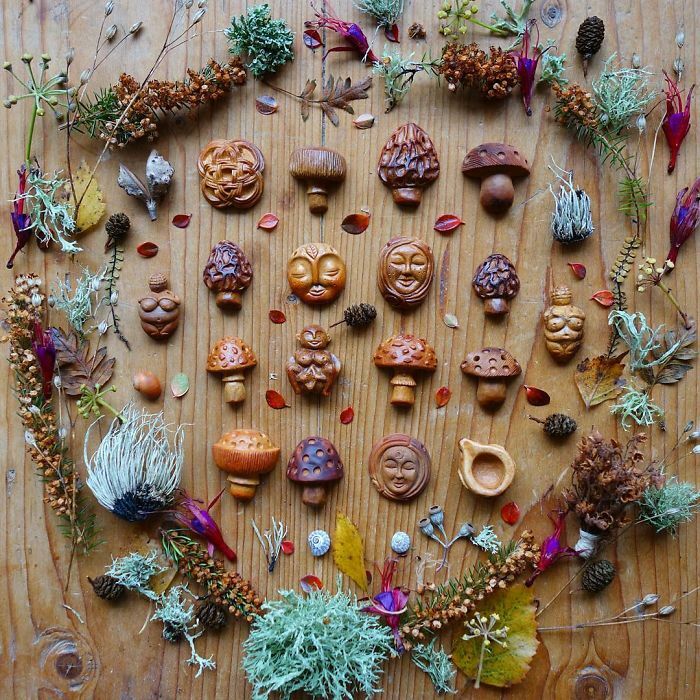 Mother nature is here, for us. 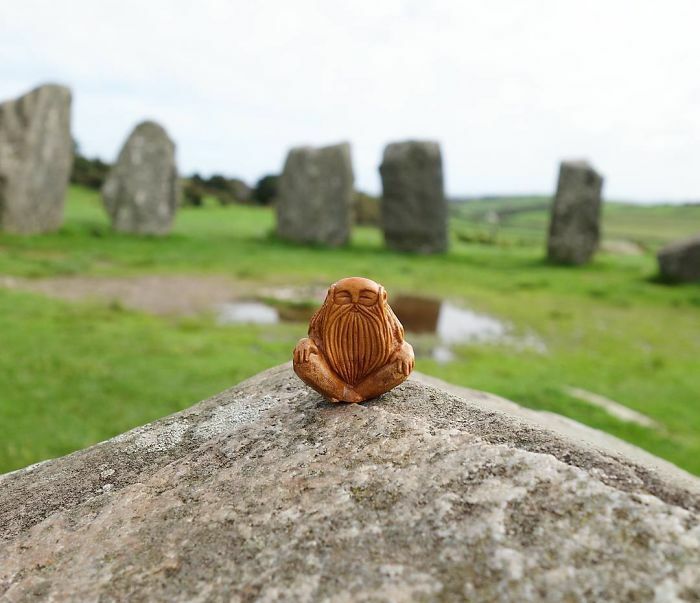 All Celtic-Folklore is highly represented in her work. 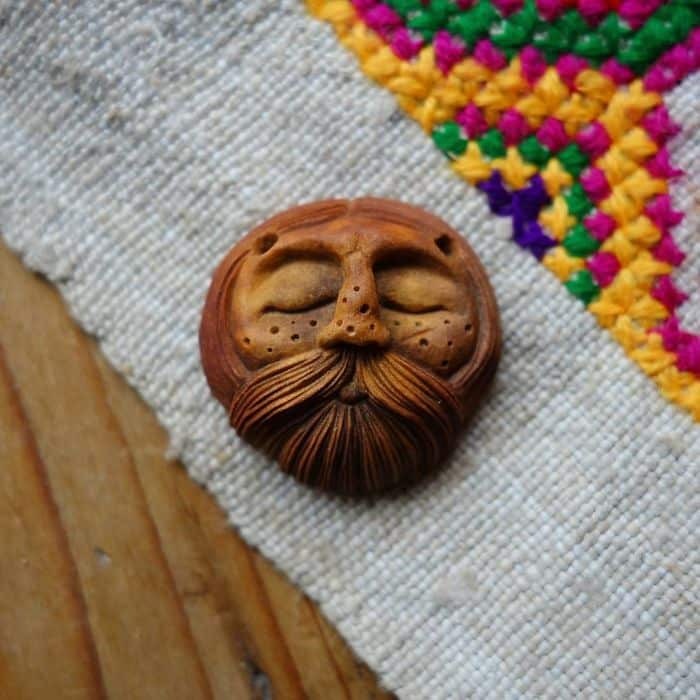 You can buy Jan’s works on Avocado Stone Faces. She can be followed on Instagram, if you would like to find her latest work. 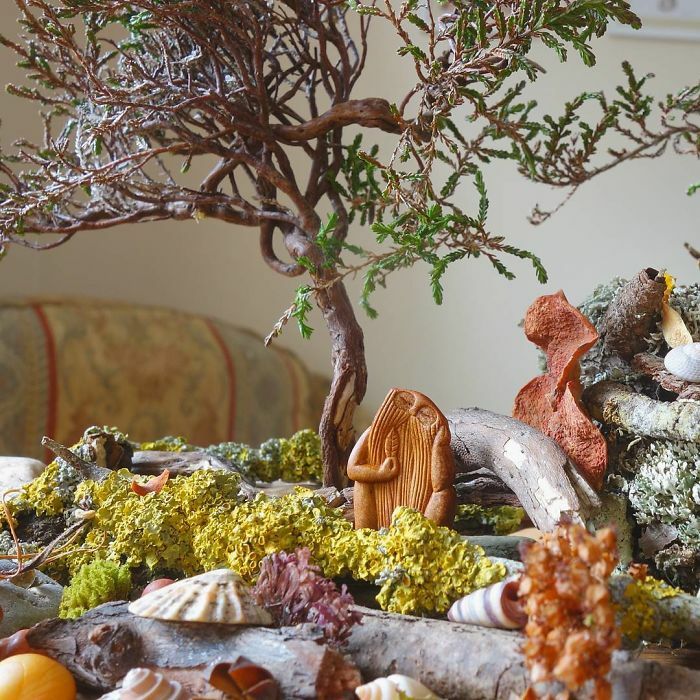 Let’s celebrate nature with Jan Campbell’s work. The power to create is in our hands.